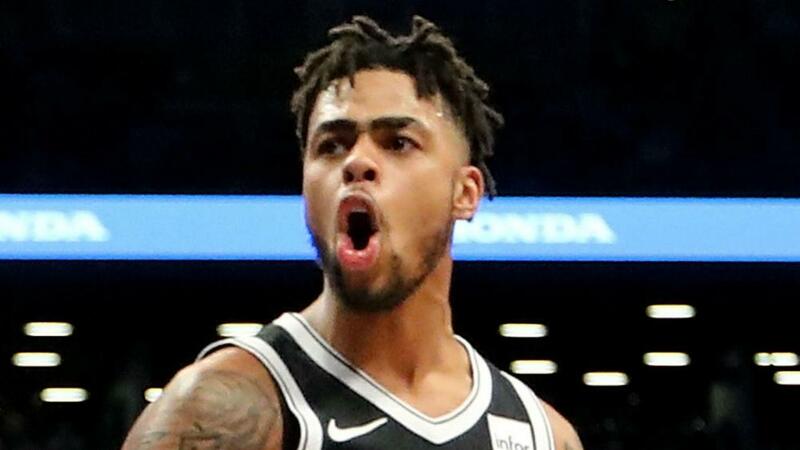 Brooklyn Nets point guard D'Angelo Russell will make his first NBA All-Star appearance after replacing Victor Oladipo. Russell will fill the void left by injured Indiana Pacers star Oladipo as an Eastern Conference reserve, becoming the first Nets All-Star since 2013-14. The 22-year-old is averaging career highs in points (19.6) and assists (6.4) this season, leading a young Brooklyn team to a 28-25 record and sixth spot in the Eastern Conference. Oladipo was enjoying a fine campaign before suffering a season-ending ruptured quad tendon in his right knee against the Toronto Raptors on January 23. Now, Russell will feature in the 68th All-Star game, featuring Team LeBron against Team Giannis, at Spectrum Center in Charlotte on February 17.